Watching the Academy Awards is one of my favorite times of the year in terms of following pop culture! My friend Varsha had a really nice movie room in her apartment complex that was reserved exclusively for our Oscar viewing pleasure. Here are some moments I found particularly remarkable. The acceptance speech you don't want to be remembered by. 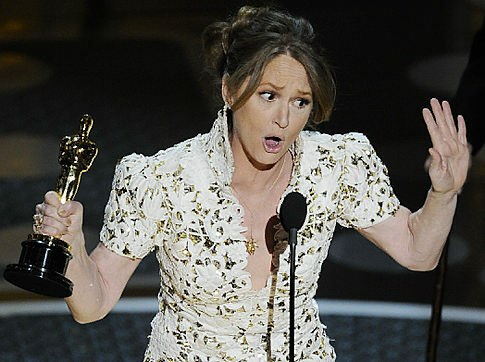 Melissa Leo tends to be over-dramatic with her acceptance speeches as I have noticed in the recent awards ceremonies. The Oscars were not an exception. Sadly, she resorted to the F-bomb to communicate the depth of her feelings. Knowing how to poke fun at himself. 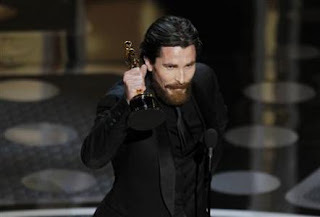 Christian Bale is a serious actor who deserved his best supporting actor win. 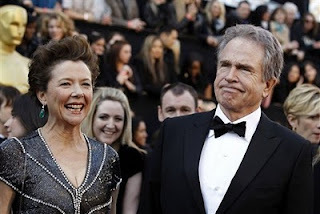 He remarked that we will not use the word Melissa Leo inappropriately used in her acceptance speech since he has done more than his share in the past -- referring to the on-set verbal rant he threw a couple of years ago. Painful to watch. This years' hosts James Franco and Anne Hathaway created a lot of buzz and I admit that I expected them to do a stellar job. Sadly, jokes fell flat, a whole lot of awkward pauses, and the chemistry we all saw in the promos did not translate into the actual awards night. Franco seemed out of it and disconnected, while Hathaway became a giddy, nervous little girl. It's almost funny to think that her most comedic moment was the "Brown Duck" which was a filmed parody of the "Black Swan." I think the writing was bad to begin with; the hosts knew it, and they coped differently: Franco lost interest and Hathaway did not want to give up without a fight. People I wanted to take over. 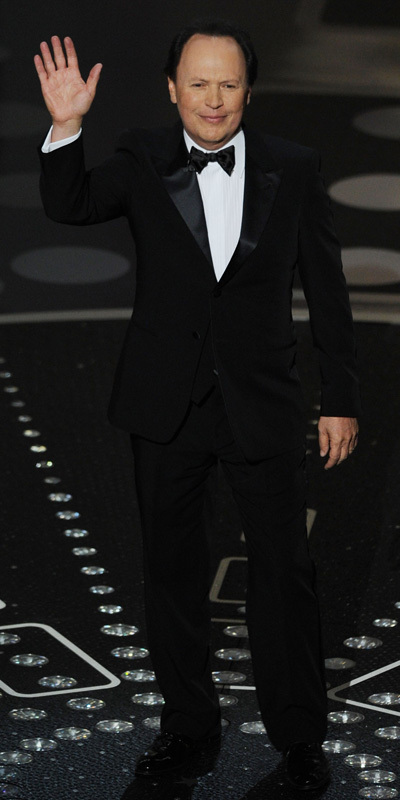 People clapped and stood up when former host Billy Crystal entered the Oscar stage. I wonder how much of it had to do with relief? 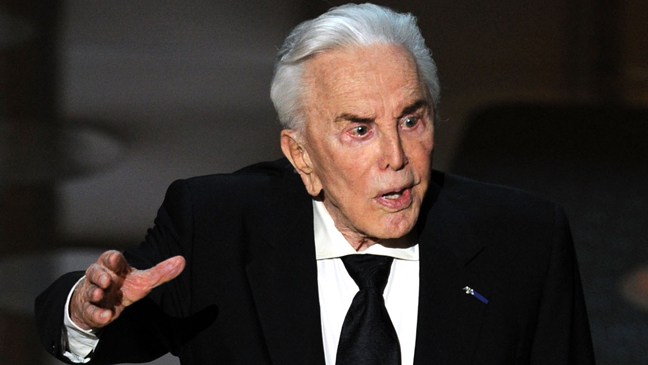 He will always be my favorite Academy Awards host in recent history. Sandra Bullock's lines as she announced the nominees for Best Actor was impeccably delivered. Which makes me wonder, should they have hosted together? I know, I know -- just wishful thinkin'! Just plain creepy. 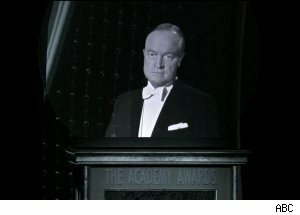 Bob Hope's hologram. Where's Cee Lo? No, his songs were not nominated but that is the very question my husband asked while watching Gwyneth Paltrow's very uptight performance for Best Song. Seasoned and flawless. Celine Dion singing 'Smile' during the film montage of artists who passed away. Do you think Eddie Fisher and Corey Haim should have been a part of it? Do you think honoring Lena Horne was an attempt to lessen the blow of an all-white list of nominees? Absolutely charming. Kirk Douglas and Colin Firth. Don't you think so? Most overlooked. The beautiful Annette Bening. I wonder if she will ever win an Oscar? Favorite quote. "My father always said to me I'd be a late bloomer." 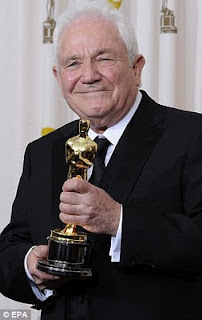 David Seidler, 73, who won the best original screenplay award for The King's Speech. Love it! How about you? 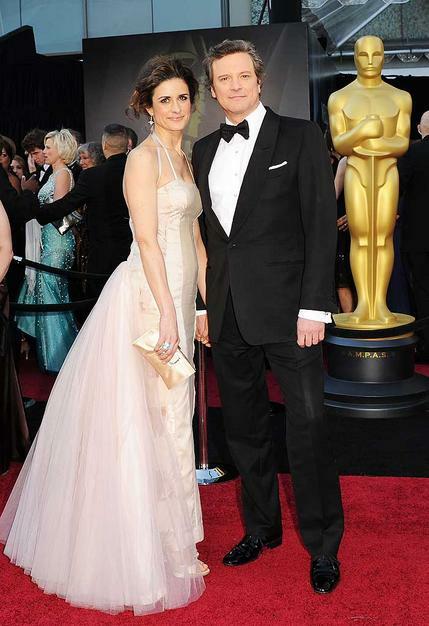 What was your favorite Oscar 2011 moment? You know how I felt about this oscars... Such an awkward ceremony.